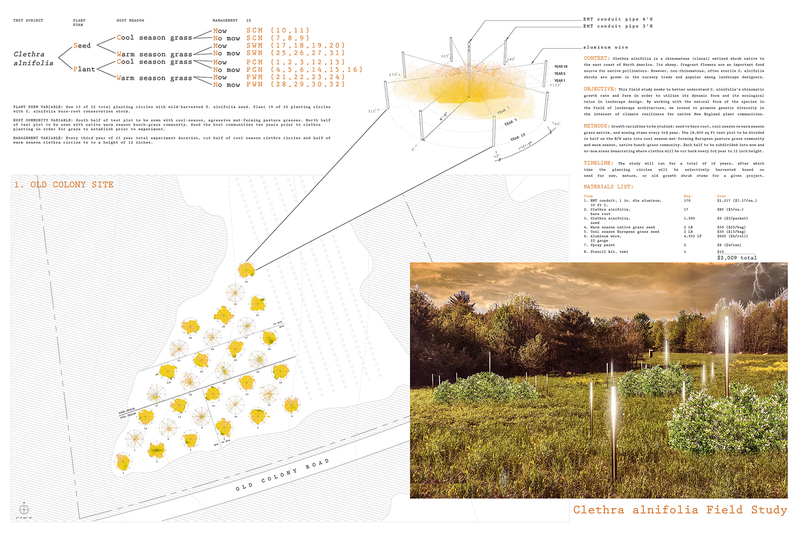 THE BRIEF The Charbrook Competition occurs every two year and invites designers from STIMSON to propose experiments that strengthen the integration between the Studio and the Nursery. Ideal proposals should aim to translate experiments and their results back into the design process within the studio. 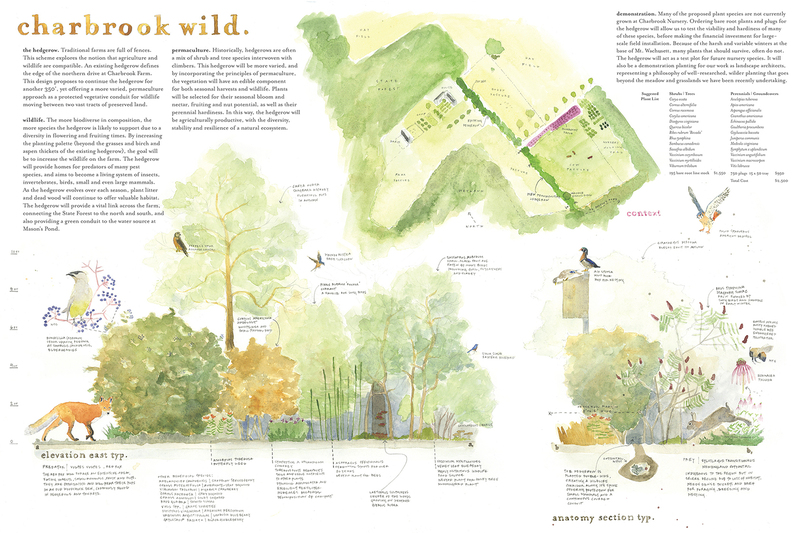 Proposals should explore how Charbrook Nursery can be used to answer questions outside typical nursery practices, integrate research related to horticulture, agriculture and related disciplines, and be a fulcrum point between art and science. THE SITES Three sites offer potential locations for design proposals. Each one has different opportunities and constraints. #1 Old Colony Site: This site is located on Old Colony Road and is currently an abandoned agricultural field of mixed grasses, perennials, weeds, invasive shrubs such as Russian Olive and Honeysuckle, and successional trees such as White Pine, Aspen, Red Maple and White Birch. There is a wet seep that flows through a portion of the site and soils are generally rocky. There are two houses within view of the field, to the north and east. A stonewall forms the southern edge of the field at Old Colony Road. The field is owned by the Town of Princeton and held in a ten-year lease by the Stimson family. Haying, nursery, agricultural production and livestock are allowed on the land and this must be adhered to with the design proposals. The field is currently planned as an expansion of the Charbrook Nursery fields, but physically remains part of a larger collection of working hayfields to the south and northeast that provide significant hay production annually. #2 Cow Pasture Site: This site is located on Charbrook Farm and is currently cow pasture. It is bound by electric fence and a number of existing American Beech and Red Oaks, as well as newly planted Oaks that will provide future shade for the livestock. The land was recently cleared and soil decompaction was attempted last fall with deep-rooted tillage radish. This site is adjacent to the nursery holding yard, Mason’s Pond, a wetland and State Land. The site boundary extends into new growth Pine, Red Maple and Oak woodland. Design proposals must be compatible with grazing and livestock health. #3 Nursery Site: This site is located in the back field of the Thompson Road nursery. Currently it is planted with a variety of Ilex verticillata, Viburnum, Metasequoia, and Acer ginnala. The field is low-lying and wet, and adjacent to the farm pond. The site is surrounded by woodland, the Sulmasey Homestead and another nursery field. It is bound by a stonewall to the north. This site is the most ‘developed’ with several rows of shrubs grown here over the past decade. Wildlife is seen regularly in all three sites and seasonal migrations of birds and mammals, such as deer, coyote, red fox are very common, and more elusive, but present, are bobcat, black bear, moose, otter and fisher cat. All the sites are located between several wetland systems and large tracts of preservation land, especially to the west leading down to the Ware River. • The budget for the design proposal is $2,500. • The proposal must have a strong and identifiable concept that complements and enhances the Nursery. 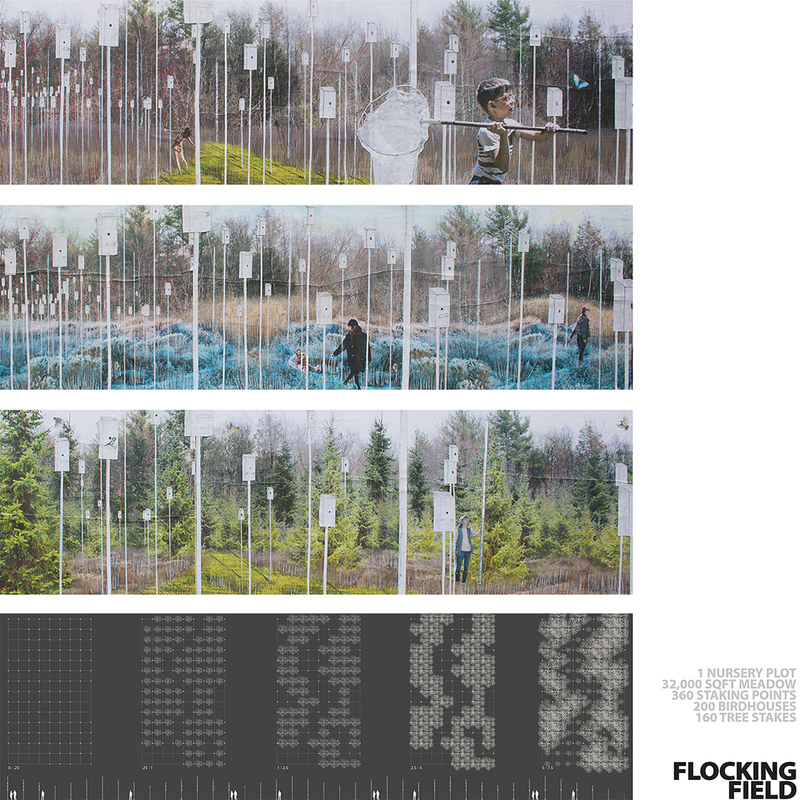 • The proposal needs to respond to the site context and maintain environmental mindfulness. • The proposal must respect the neighborhood and be safe to people who view or interact with it. • The proposal can be temporary or permanent. • Designers may work in teams. • One 24”x36” board with the design proposal. • One materials list with quantities and associated cost estimate. • The design boards and proposal should be anonymous. • Adherence to the Design Brief. • Integration of the work into the surrounding environment and landscape. • Sensitivity of the work to the environment, and to the local ecosystems. • Creativity and originality of the concept. • Contribution to the nursery. FIRST PLACE STIMSON will take one day (or more) to construct and install the winning design entry collaboratively as an office. The designer(s) will be responsible for organizing relevant materials and equipment, if applicable, to implement the winning proposal. The installed design will be featured on the SSA blog and used in perpetuity for marketing purposes.